Numerous hip replacement systems and components have been recalled by DePuy Orthopaedics, Stryker, Smith & Nephew and other device manufacturers in recent years. Joining a hip replacement class action or filing an individual lawsuit are possible options for those who were injured due to allegedly defective hip implants. To learn more about filing a hip replacement class action or individual lawsuit, please contact our office today by calling (888) 994-5118. Many of the hip replacements named in class action lawsuits and individual complaints are “metal-on-metal” devices, in which the ball and socket are made from a chromium cobalt alloy. A growing body of research indicates that metal-on-metal hips may deteriorate faster compared to those made from other materials, expose patients to high levels of toxic metals, and fail prematurely at a higher rate than older implants. In 2011, the U.S. Food & Drug Administration (FDA) began a safety review of metal-on-metal hip replacements, amid growing concerns over their safety. In January 2013, the agency issued new guidance for patients fitted with such devices, advising doctors to consider metal ion testing in those experiencing symptoms of hip implant failure. 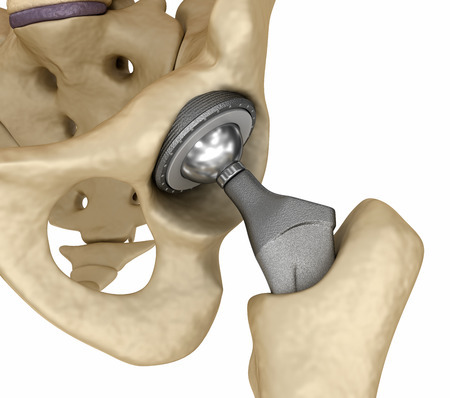 The FDA later implemented a new regulation that made all-metal hips ineligible for the agency’s 510(k) clearance process, which allowed such devices to come to market without the benefit of human clinical trials. How Would a Class Action Lawsuit Work? If a hip replacement class action lawsuit is filed, one plaintiff – usually the individual who initiated the claim — would be designated the class representative. Throughout prosecution of the lawsuit, the class representative has authority to act on behalf all other class members. Decisions left to the discretion of this individual include the choice of attorney and whether to settle the lawsuit. Any funds recovered as part of a class action settlement would be shared equally among class members. However, the class representative would receive a larger payment in return for their more extensive role in the case. Class action lawsuits are an ideal vehicle for large groups of plaintiffs who have experienced near-identical damages due to the same product. If the case is resolved in plaintiffs’ favor, compensation may include refunds or rebates to reimburse consumers for purchasing the product. If a class action involves a drug like a faulty hip implant, the settlement may also include funds to set up a health monitoring program. Patients who experienced serious complications due to a defective hip replacement or components likely incurred physical, financial and emotional damages of varying severity. It’s unlikely that the type of compensation available via a class action lawsuit would make these plaintiffs whole. Such plaintiffs would be better served by filing an individual hip replacement lawsuit that can be tailored to their specific needs. The attorneys at Bernstein Liebhard LLP are offering free legal reviews to individuals who may have been harmed by a defective hip replacement. Please call (888) 994-5118 to discuss your case with a member of our legal team today.